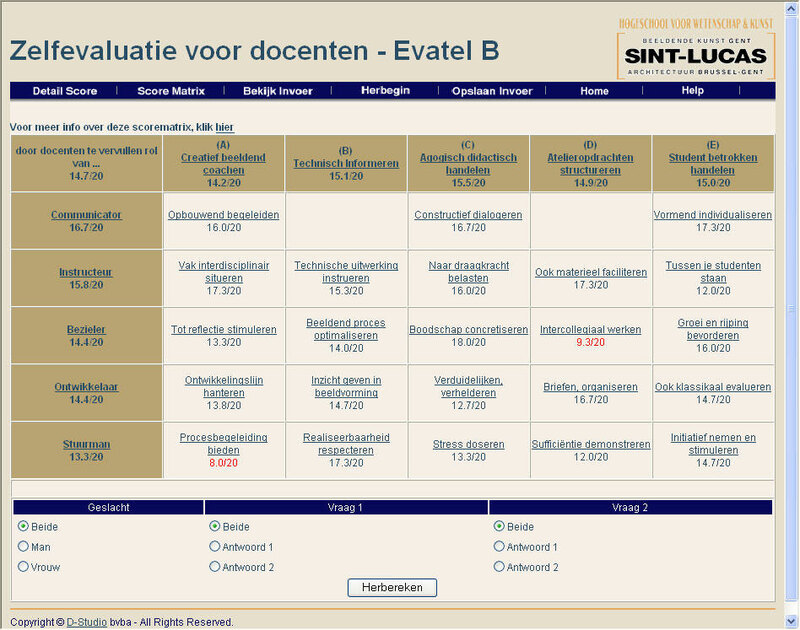 In close cooperation with the quality management staff of Sint-Lucas, university for science and art, a web-based evaluation tool was developed. This tool allows for teachers to evaluate their classes. 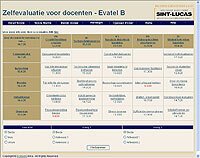 This tool is based on academic research from the Department of Psychology and Pedagogy (KULeuven). 1. The teacher downloads an inquire from the website and spreads it among the students. 2. The students answer the questions concerning the teachers' classes anonymously. 3. The teacher collects all inquires and enters the results online in an optimized, user-friendly input screen. Click here see the tool in action.